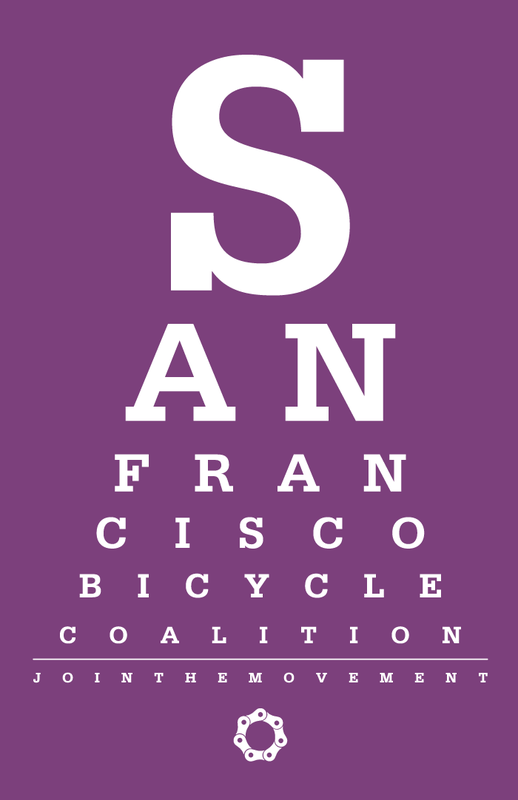 Bicycle safety education is one of the missions of the SF Bicycle Coalition. In addition to managing the in-person education program, I also created a number of outreach materials for bicycle safety. 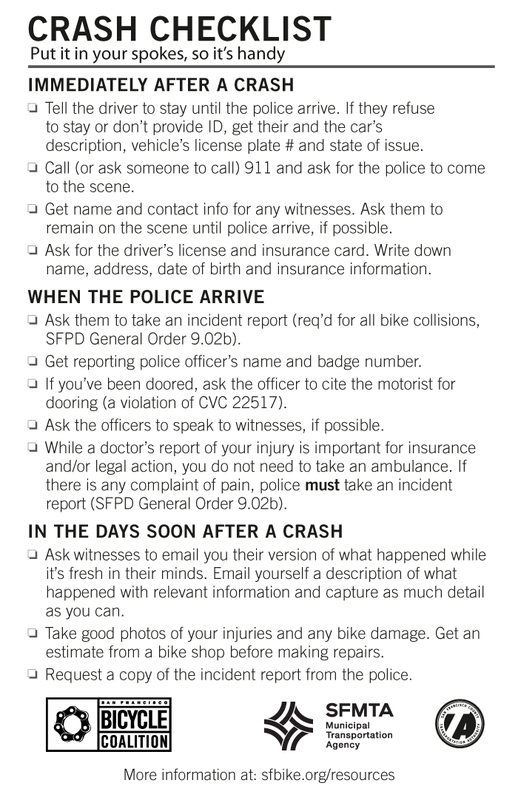 The Crash Checklist is designed to help people biking know what to do in case they or their friends experience a crash. When someone is hurt or injured in a crash, it can be difficult to know what to. The Crash Checklist helps people to stay focused on calling the authorities and collecting the necessary information from all parties involved. 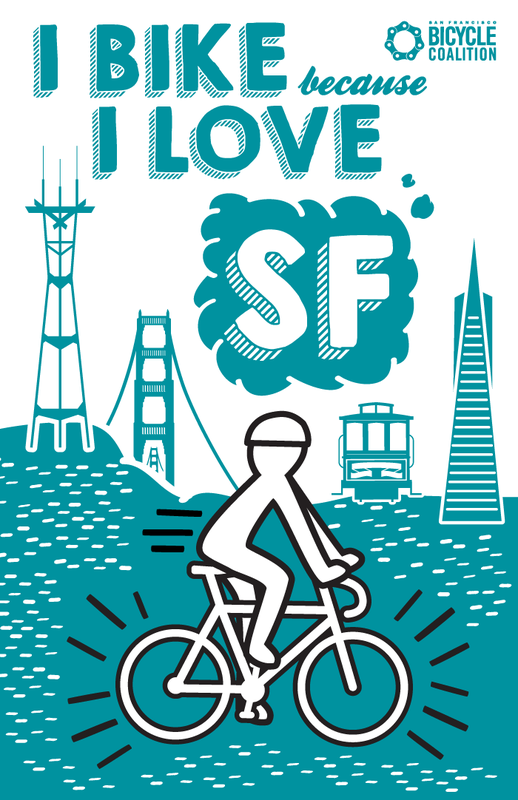 I designed the Checklist as either a card to be placed in the spokes of your bicycle or a folding wallet-sized card so people biking have convenient access to this information. It is also mobile-friendly for smart phones on the organization’s website. 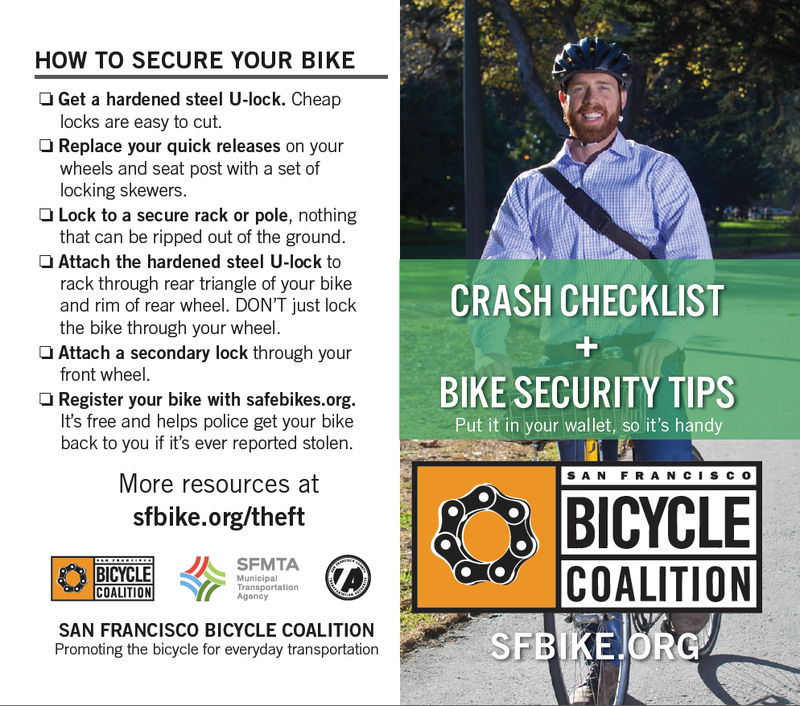 For the folding card we had some extra real estate and were able to add some additional information for tips to securely lock your bicycle.